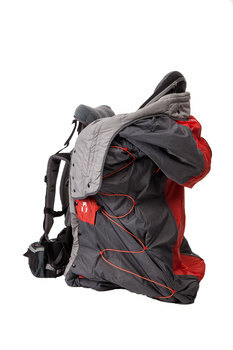 The unique Birnabag, a protective bag for any child carrier, keeps the child comfortably warm and dry no matter the weather condition. Therefore the Birnabag extends the use of child carriers. 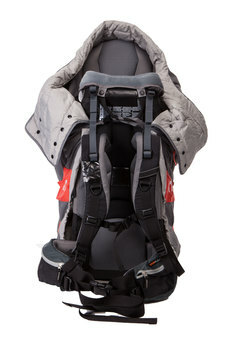 It fits on any child carrier due to a flexible adjustment system. Birnabag is windproof, water-repellent and insulated. 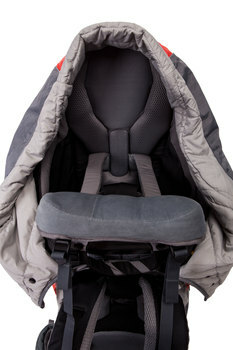 It makes the use of child carriers easier and more comfortable as there is no need of extra clothing. Birnabag will contribute to greater safety as well as freedom to be outdoors with the child for a longer period of time. It may be used separately as a protective bag in pulks and prams. Birnabag is a quality product with a functional design and it looks smart on any child carrier. Wir finden, dass eine Wärmeisolation für Kindertragen eine durchaus sinnvolle Innovation ist. Die Birnabag ist auch für weitere Anwendungen gemacht und kann als Decke im Zelt oder auf dem Boden verwendet werden. Schöne Details.